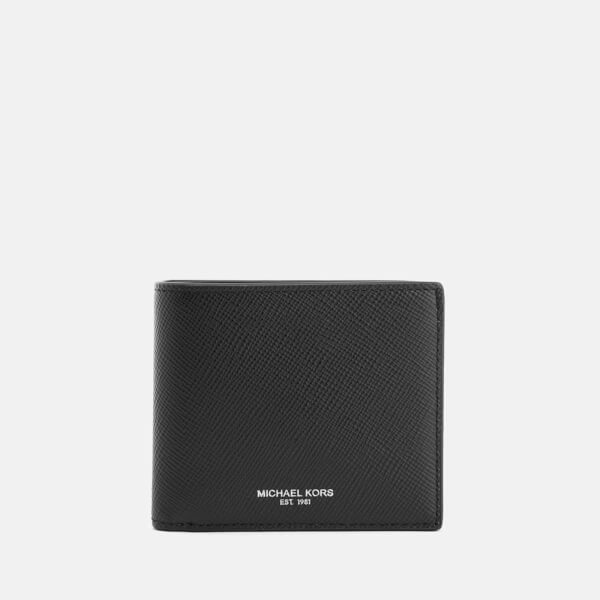 Men’s black leather billfold wallet from Michael Kors. 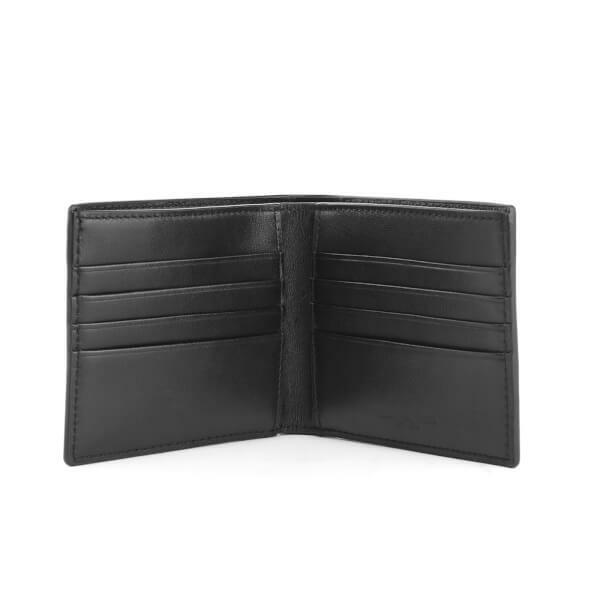 Crafted from Saffiano textured leather, the smooth leather interior of the billfold wallet features eight card slots, two slip pockets and two note pockets. 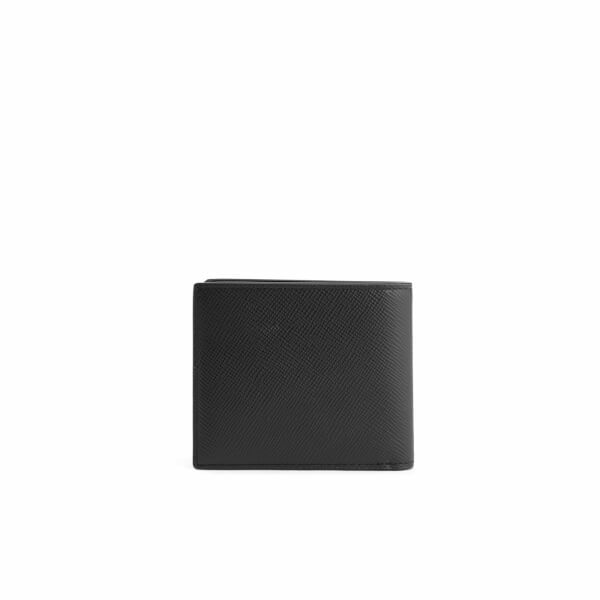 Complete with silver-tone branding to the front and embossed branding to the inside. 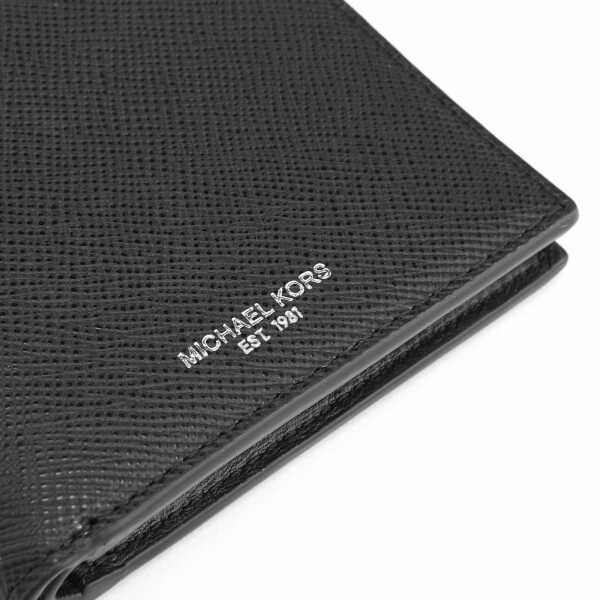 Presented in a Michael Kors branded gift box.